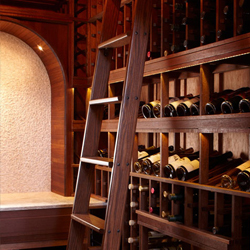 Building a wine cellar is an investment that can last a lifetime—increasing the value of your home and your wine collection, while also bringing pride and enjoyment. But it's not easy! We've written some guides to help you get started. Our experienced team is also standing by to help. 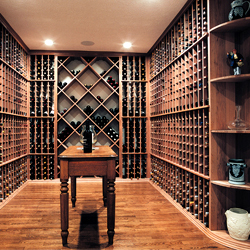 Are you confused by wine storage jargon? Can't quite figure out what R-value means or why humidity matters? 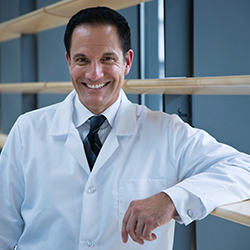 This glossary will help you make sense of the key concepts you'll encounter. As you plan out the expenses of building and equipping your cellar, don’t forget the cooling unit. We go over the factors that influence a unit's price, plus the additional costs—like modifications and installation—that you should consider when budgeting. Buying a cheap refrigeration system can turn out to be a very pricey mistake. Save time, money and stress in the long term. 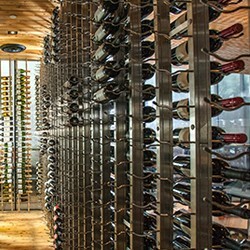 Purchasing the right wine cooling unit for your wine cellar should result in years of temperature and humidity control inside your wine cellar. Feeling overwhelmed? We can help! 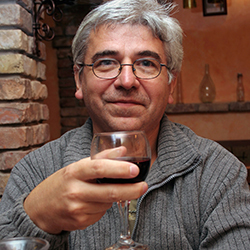 Our customer support team is available for live chats to answer your questions, provide advice on cellar building, and assist you in selecting the right unit for your needs. 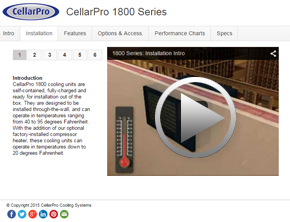 Explore each series of CellarPro units in depth with our demo guides. These resources include virtual installation videos, responsive breakdowns of unit features, and charts showing how well our units perform under test conditions.